Why just go visit the pyramid, when you can go rob it. This is an invitation, not a request. 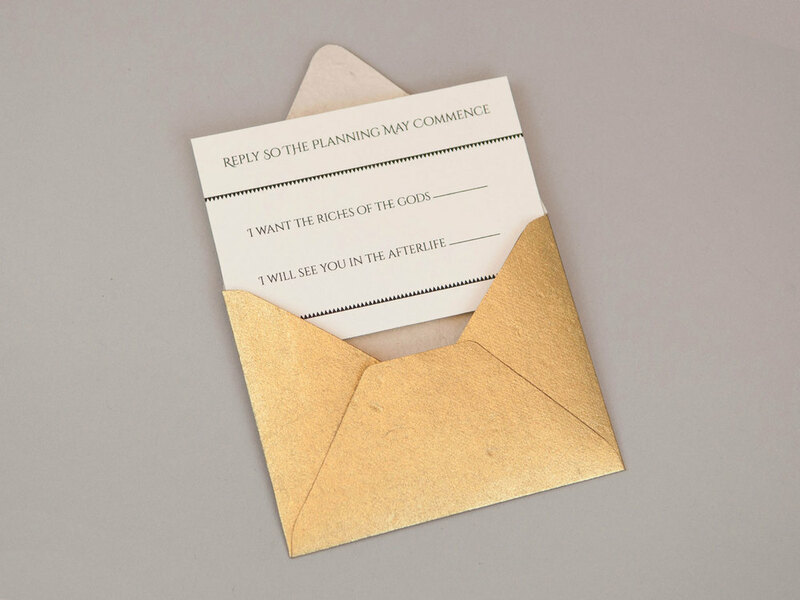 The prompt for this project was to create an invitation to the opening of the Giza Pyramids. I added a little twist on this and created an invitation to rob the Giza pyramids during this opening event. 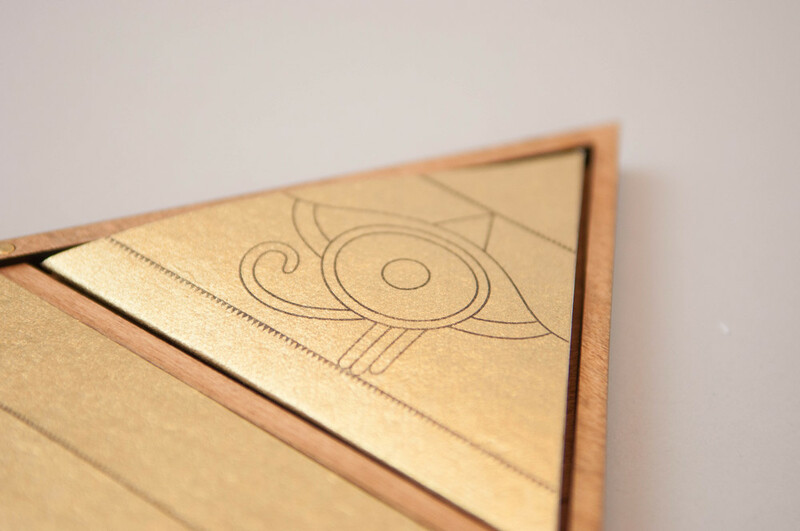 For the invitation I created a wooden box in the shape of a triangle that features a laser cut design on the front that was inspired by Egyptian art, specifically the mask of Tutankhamen. 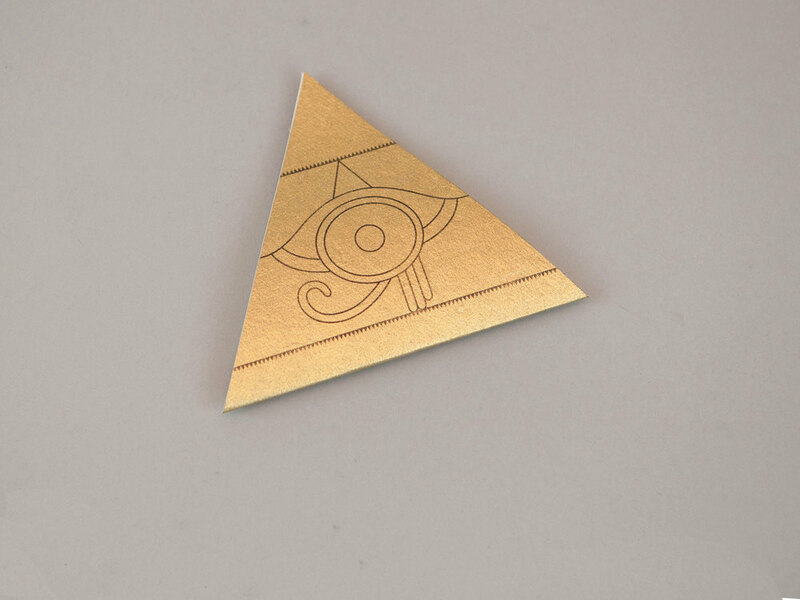 I wanted this piece to represent the wealth that could be found in the pyramid, so I screen-printed the color on the front and used gold leaf to create an ostentatious effect for the outside. When opening the box, which is magnetized, I wanted to create the effect of opening a sarcophagus and reveal another layer, one that is much earlier.